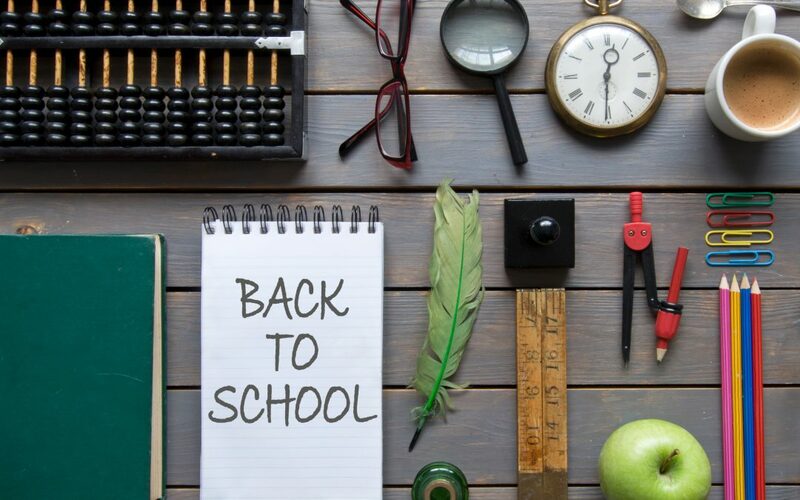 Ten tips for getting ‘back to school’ ready! With the 2018 school year just a few weeks away, it’s essential to start getting back into routines that will assist our children with the transition from the holidays to school. Getting back to school can be as tricky for us as them! Before even thinking about heading back to school, you can help get your child into the right frame of mind for learning and socialising. Taking them out for the day to cultural attractions such as museums, historical sites or art galleries is a great way to do this. Many of these places have educational programs in the holidays that are fun, engaging and educational. Your children will get to learn something new, meet new people and be in the right frame of mind when they return to school! Many children have an area of school they struggle with, or don’t enjoy as much as others. Teaching them that learning doesn’t just have to take place in school is a great way to get them thinking differently about how they learn, especially on the topics they’re not so keen on. Read aloud and along with your child regularly and encourage them to keep a book diary, drawing pictures of their favourite characters. Encourage writing through journaling and creative writing. Boost their math skills by getting them involved with cooking and creating recipes. There are plenty of resources out there to help you tailor fun challenges that support their learning during the holidays and help them get ready for returning to school. Your child may be feeling anxious about going back to school. This anxiety about returning to school can be especially true if they are transitioning to a new year group, with a new teacher or a new school entirely. Taking the time to speak to them about how they’re feeling and any worries they may have lets them know that they’re not alone. It gives them the chance to vocalise their feelings and gain reassurance from you. You’ll also be able to discuss and agree on some anxiety management techniques they can while at school. Your support can make all the difference when it comes to getting them back to school with a positive frame of mind. Addressing any social, education or behavioural concerns is collaborative when done as a team. Your child’s teacher will be able to let you know if they’ve noticed anything that might need addressing, which benefits you and your child to make sure this doesn’t progress over the holidays. Your teacher will also be able to let you know about any resources or additional learning, that might benefit your child both during the holidays and in getting ready for the new school year. You don’t need us to tell you how important having a strong network is as a parent. Connecting with other parents is a great way to share advice, knowledge and resources to support your child in getting ready to go back to school. If your child is starting a new school or new class, meeting other parents to arrange playdates is a great way to help reassure your child and give them the chance to get to know some friendly faces before starting school. It can also help if you need pre or after school support. For example, you can all arrange car-pooling or childcare support on the days you need it. It’s easy in the holidays to go wild and let your kids do their own thing when it comes to their sleeping patterns and routines! While it’s definitely time to be indulgent and let them have some fun (especially if you go away for a holiday), it’s important to keep some sort of routine in place. Sticking to set bedtimes and mealtimes, as much as you can, will help to make the transition back to school much easier when it comes around. For you and your child! Over the holidays you might find you get more relaxed about screen time. That’s totally fine, but don’t let it get to the point where it’s excessive or damaging. Encouraging too much screen time, whether it’s tablet, smartphone or gaming, has serious health implications for your child. Try to stick to the rules you would normally apply during the school term to make sure it doesn’t have an impact on your child’s health. Prevention is nearly always better than the cure! Sitting down as a family – that means parents, children and any grandparents or family members who help our during school time – is a great way to discuss and agree on expectations for the new school term. This plan could be anything from who is responsible for making breakfast, preparing lunches, school pick-ups and drop-ups, homework times and getting ready in the morning. Write down what you agree to and keep it somewhere everyone can see it to keep everyone on track and school ready. Whether you’re together or separated, make sure you arrange some contingency plans for things that could arise in the school term. Arranging contingency plans means working out who is responsible for pick and drop-offs and on what days, who can collect your child if they are unwell, attendance at parent-teacher meetings, right down to attending school plays and sports day. Having these conversations at the start of the year is the best way to make sure you’re both organised and have agreed expectations on how you will support each other as parents. Don’t leave it until the last minute to get organised! Make sure your children have everything they need for a great start to the new school year. Being prepared includes shopping for back to school supplies, getting uniforms fitted, doing the food shop for packed lunches and dinners, fueling up the car or topping up bus cards. Make a list and a week or two before their start date, work through it and get everything done. You could even liaise with other parents over bulk buying supplies as this can often be cheaper. Don’t let getting back-to-school ready become a negative experience. The holidays are a great chance to unwind and enjoy some quality family time. Going back to school shouldn’t be seen as a negative experience for your children and making sure you’re fully prepared will ensure they see it as a positive experience too.